Get down, get low, get out! FAST!! 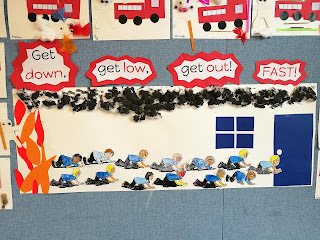 Last week we even went to the Ikamatua Fire Station to learn about what firefighters do to help us if there is a fire. We got to look at all of the equipment they need and use. Our most exciting part was getting to sit in the fire engine and when Mrs Whitmore put on the fire siren for us. The siren gave some of us a fright too! !